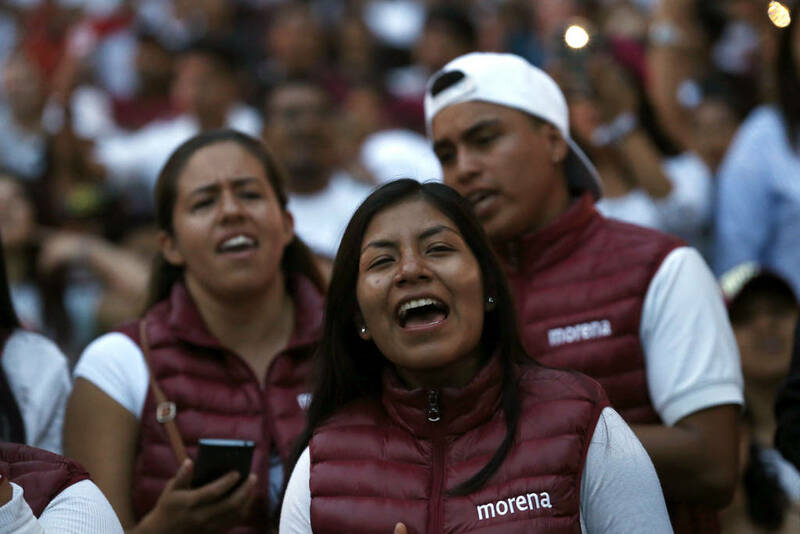 Mexicans indulged Saturday in a much-needed break from the political propaganda that has engulfed them for months leading up to elections that could usher in big changes for the country. MEXICO CITY — Mexicans indulged Saturday in a much-needed break from the political propaganda that has engulfed them for months leading up to elections that could usher in big changes for the country. Mexican law dictates that candidates and parties must cease their campaign activities three days before elections so that voters can reflect on their options. Mexicans will cast votes on Sunday for posts at every level of government, including the presidency. Workers pulled down giant banners with the smiling faces of politicians that have accompanied capital dwellers for 150 days. Authorities in Mexico City said that as of Saturday they had removed more than 10 tons of roadside propaganda. “All that publicity didn’t make me change my mind,” said Eduardo Marino, owner of a market stall hawking green soccer shirts and balls as the Mexican team competes in the World Cup. Marino plans to cast a vote for leftist Andres Manuel Lopez Obrador, who holds a nearly 20-point lead in polls over his closest rival for the presidency, Ricardo Anaya, a candidate representing a right-left coalition. 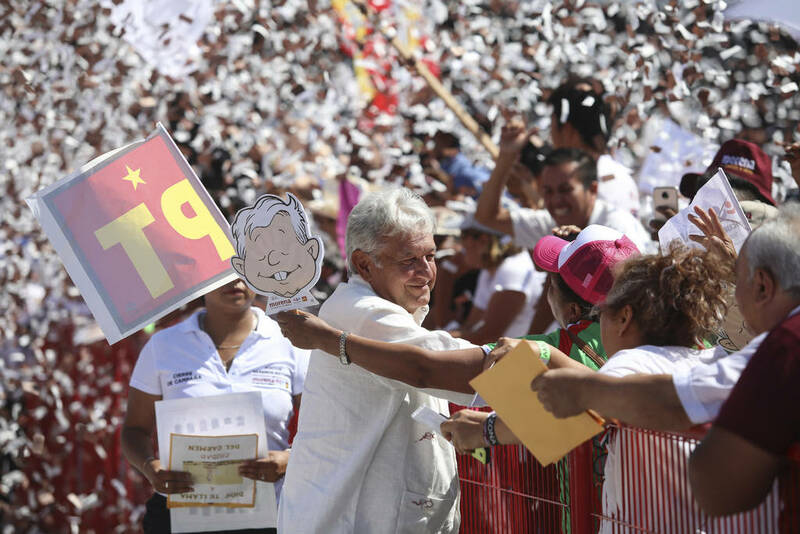 This is Lopez Obrador’s third bid for the presidency after 12 years of near-permanent campaigning. The election has become a referendum of sorts on widespread government corruption that has drained the economy and hurt the poor. Violence is rampant. Convictions are rare. This campaign season, more than 130 politicians have been murdered. “The country is in a very difficult situation economically and morally,” said Marino. But in the bright side, Marino said he has stopped receiving incessant text messages urging him to vote for one candidate or another. The National Electoral Institute said the presidential race cost roughly $100 million. In addition to the top office, 128 seats are up for grabs in the Senate, as well as 500 in Congress and thousands of local posts ranging from municipal heads to governors. Fears of fraud hovered over the election, with officials having confirmed armed assaults to steal ballots in three southern states. Mexico City police on Tuesday seized the equivalent of about $1 million in pesos from two men who were allegedly delivering the cash to the headquarters of the ruling Institutional Revolutionary Party, or PRI. Electoral officials have assured that modern balloting technology and institutions will prevent any funny business. Lopez Obrador’s party, Morena, isn’t taking any chances. Lopez Obrador alleged fraud in his two previous bids for the presidency. In his first loss — by a mere 0.56 percent to conservative Felipe Calderon in 2006 — Lopez Obrador supporters held months-long protests in Mexico City. Morena has recruited 46 electoral observers from 16 countries to stand watch at ballot casting points across Mexico. The party is especially concerned about elections in the states of Puebla and Veracruz, said Sen. Gabriela Cuevas, who defected from the conservative National Action Party in January to support Lopez Obrador. Hector Vasconcelos, likely foreign minister should Lopez Obrador win, warned that the possibility for misdeeds on election day is enormous, recalling how prior election observers were purportedly stricken with food poisoning, on purpose, to remove watchful eyes on election day.